Hi! I'm Melodie and I am a designer. Taking an idea and making it a reality, either online at your fingertips, or in print in your hands, is my passion. I like to help people see their vision come to life, from concept to completion. I like to make projects go smoothly and streamline processes. I’m a bit of a nerd that way – organization makes me happy. I’m more than just a designer (though I’m a pretty good designer), and am capable and adaptable to many facets of work. Paper, ink, finishing – print design was the industry I fell in love with first, I love all the details that go into print design – from the type of fonts to the type of paper, from die cuts to finishing, and even how items are shipped. With education in the design, execution and business side of print media, and over 10 years of industry experience, I can help you see your print vision come to life. Combining my knowledge and experience in print design with my education and experience in web design, I can create a more interactive experience online. I’ve worked in the web industry for over 5 years and have participated in email marketing, designing for content management systems, software as a service and many other things. Let me help you make your online visions a reality! Another one of my passions is sport, namely the sport of roller derby. Skating since 2009, I’ve taken my passions to its largest stage by skating at the Roller Derby World Cup as part of the inaugural Team Philippines roster. I’ve taken valuable lessons from roller derby and applied them to my everyday life, such as hard work, perseverance, a strong emphasis on team work as well as being coachable. 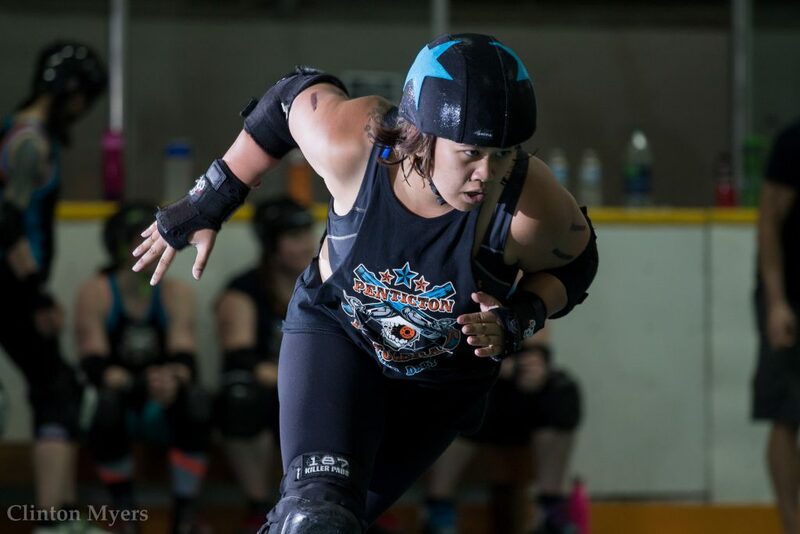 Currently, I skate as a Jammer for the Penticton Pistoleras roller derby team – this is the player that scores the points (and trust me, it’s hard work) — but over the years I’ve learned to play every position on the track. I train 6 days a week for roller derby and if I’m not working, I’m either at practice or training. Interested in more of my professional background? Click the button below to view my resume. Interested? Feel free to say hi!